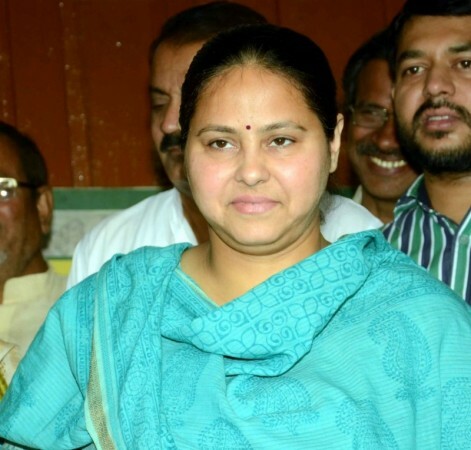 The Enforcement Directorate (ED) on Saturday filed a charge sheet against Rashtriya Janata Dal (RJD) MP Misa Bharti in an alleged Rs 8,000 crore money laundering case. The agency filed the charge sheet before Special Judge Naresh Kumar Malhotra at Patiala House Court. The judge has listed the matter for consideration in the first week of January. The charge sheet against Bharti, the eldest daughter of RJD chief Lalu Prasad, is under the Prevention of Money Laundering Act, an ED official said. The ED in July had also filed a supplementary charge sheet against Bharti's chartered accountant Rajesh Agrawal in connection with the case in which it named around 35 accused, including businessmen brothers Surendra Jain and Virendra Jain and some companies. Agrawal was accused of converting black money into the legal source of income through dubious transactions with the help of Surendra Kumar Jain and his brother Virendra Jain -- known as Jain brothers. The ED arrested the Jain brothers on March 20. In May, the ED filed its first charge sheet in the case and thereafter, arrested Agrawal on May 22. Agrawal has also been accused of helping Bharti's husband's company, Mishail Packers and Printers Pvt Ltd "with some transactions". Earlier this month, the ED also questioned Bharti here in connection with the case and also raided three premises in Delhi belonging to Bharti and her husband, including the farmhouses located in the high-class localities of Ghitorni, Bijwasan and Sainik Farms.